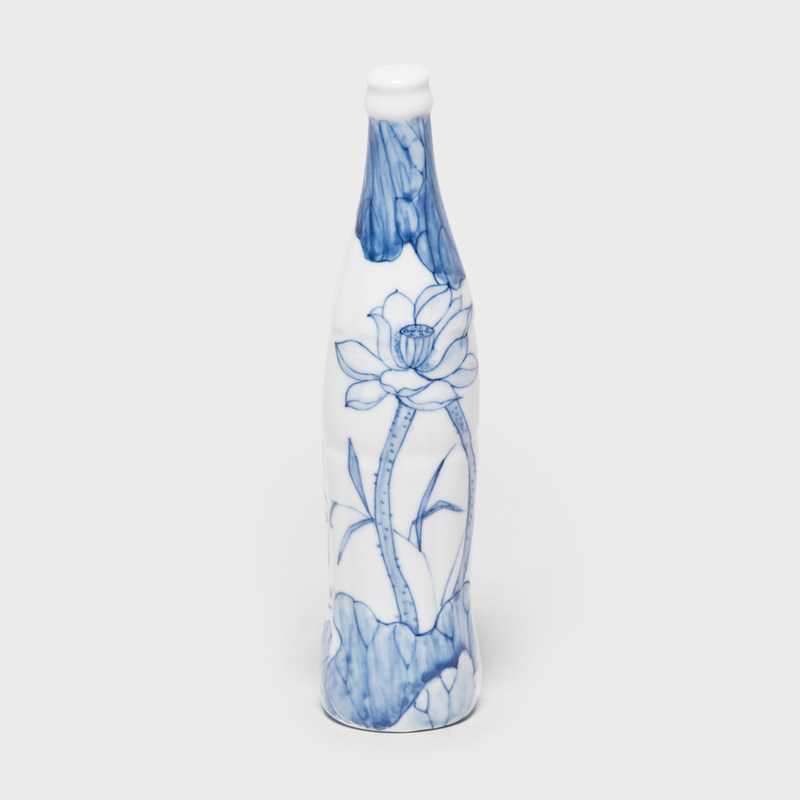 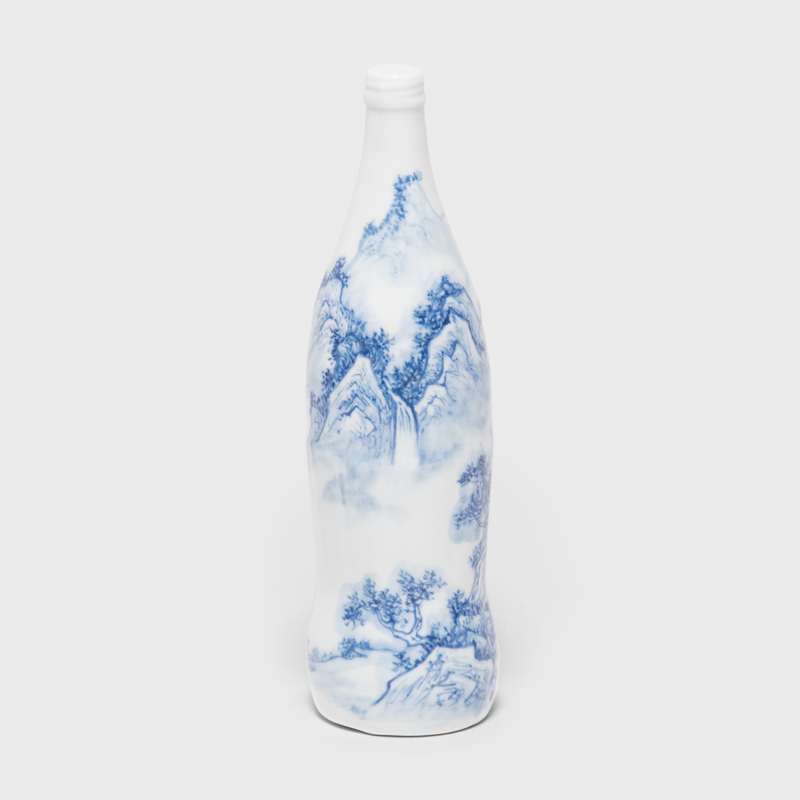 Created by artist Taikkun Li exclusively for PAGODA RED, this limited edition hand-painted cola bottle is one of a series drawing on the rich tradition of Chinese blue-and-white ceramics. 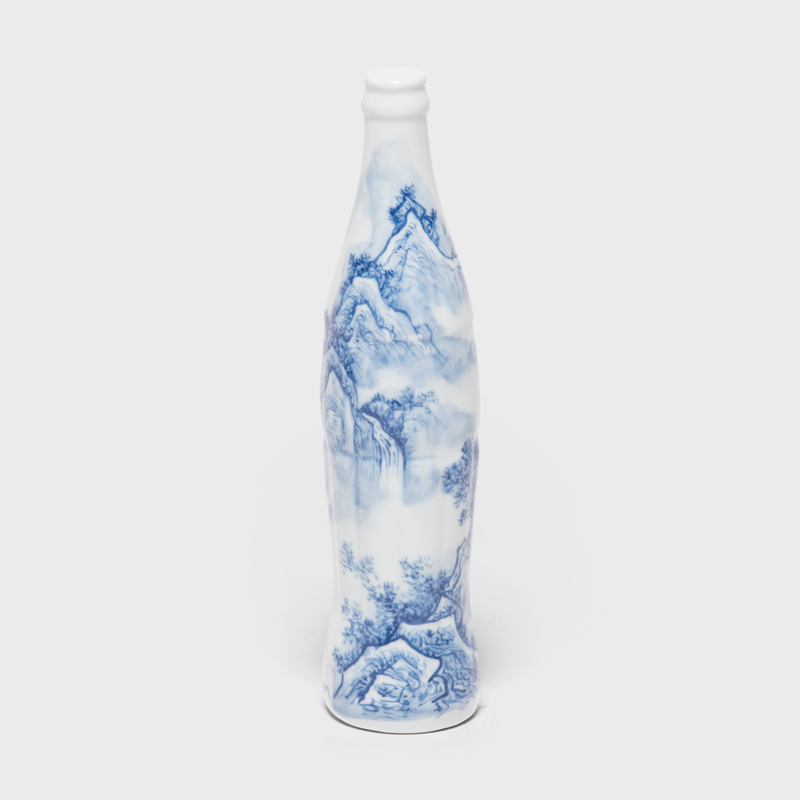 Fired at the historic Chinese imperial kilns of Jingdezhen, this cola bottle is hand-painted with a misty, mountainside landscape, reminiscent of Ming-dynasty calligraphy paintings. 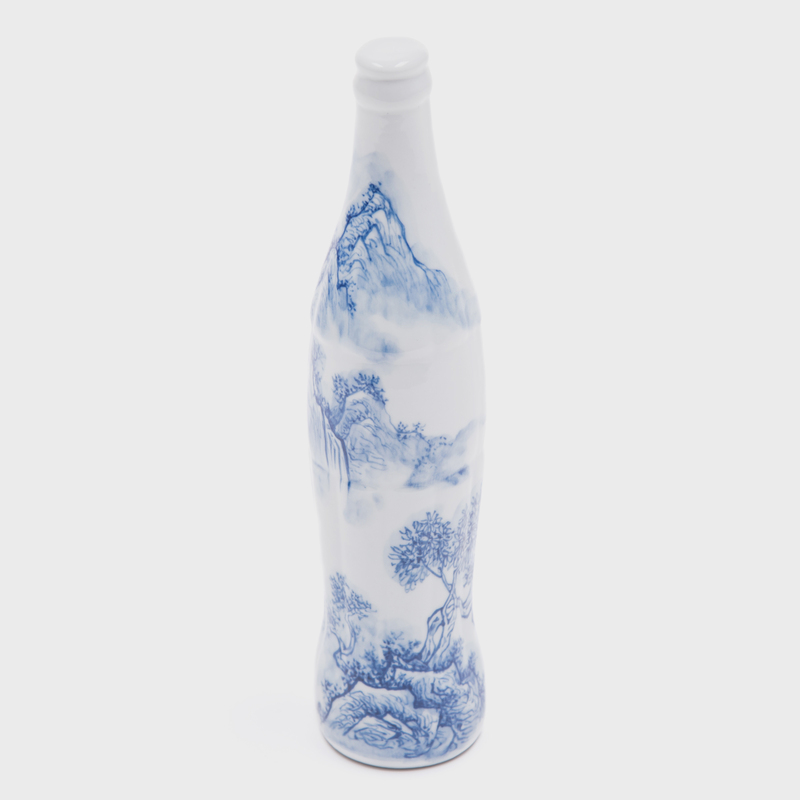 Emblematic of Western consumerism, the cola bottle is the perfect canvas for examining the changes in traditional Chinese art forms as a result of global cultural exchange. 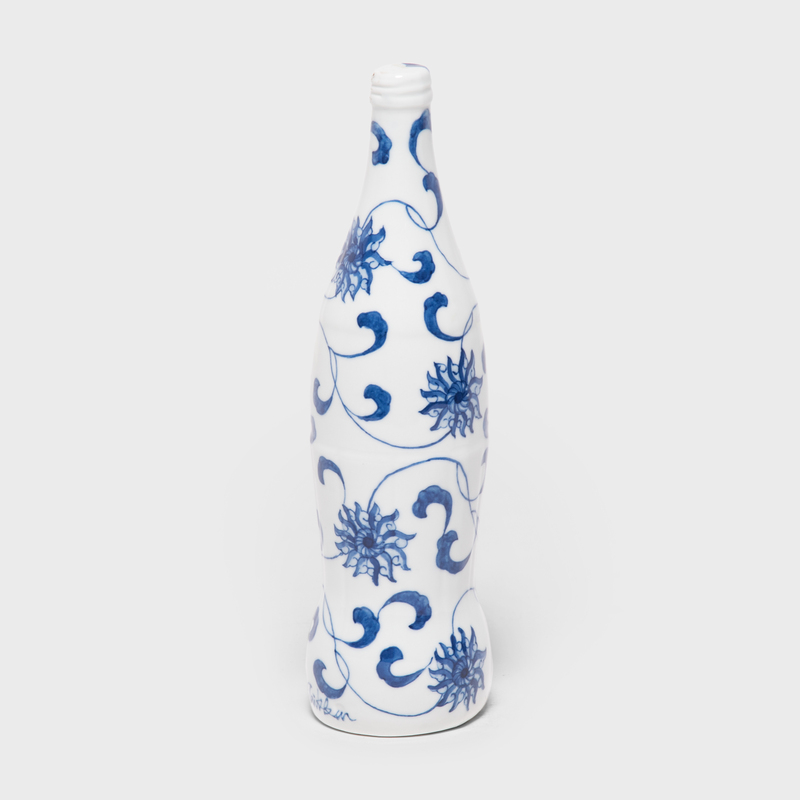 Whether displayed alone or collected as a group, each cola bottle is meant to be held and appreciated for its imagery, texture, and shape.